No sooner does Israel declare her allegiance to God and God’s covenant than she falls off the wagon. Moses is gone forty days and nights, and during that time the Israelites become frightened. They are still very much in a slave mentality. And without the guidance of a visible leader, they lose it. They turn on Aaron and demand, “Give us a god we can see,” because who knows what has become of this Moses. Aaron, to his discredit, utters not a whimper of protest. He tells the people to bring him their jewelry, and fashions an idol, a golden calf for them to worship. “Why,” I have often been asked, “is Aaron not punished for his complicity in the peoples’ apostasy?” From a historical perspective, the answer is simple. It was Aaron and his descendants who had taken control of Israelite life at the time the Torah attained its present form. His descendants give us the Torah as we now have it. The logical follow-up questions then are: Why is the story recorded at all? If Aaron and his descendants had the power, why put something in the biblical narrative, which reflects so negatively on the first high priest of Israel? The answer is that the memory of the golden calf incident was much too vivid to extirpate. It would be akin to editing the assassination of President John F. Kennedy from the history books of the United States. Hence, the priestly redactors of the Torah did the next best thing regarding the golden calf episode. They buried it. They did not place in its logical place after the Ten Commandments and the laws, which followed them. Those who edited the final version of the Book of Exodus hid the golden calf incident in the midst of two long, and to some, boring accounts of the intricate details of the building of the desert tabernacle. The Torah records: God tells Moses to hurry down from the mount as the Children of Israel have run amok. They have forsaken God’s wishes in favor of building an idolatrous calf to worship. God threatens to destroy the entire people, but Moses stays God’s hand, and asks, “How will it look to Egypt?” The Egyptians will think that You destroyed the people because you were not powerful enough to deliver them to the Promised Land. Now God might not have been a bit worried about how it would look to Egypt, but the point is that God and Moses were in partnership; and God heeded Moses entreaty to forgive the people’s great sin. Then, Moses himself loses it. When he sees the people reveling before the calf in orgiastic fashion, he becomes so enraged that he hurls the tablets of the Covenant to the ground, smashing them to bits. Eventually, God calms down, and Moses calms down. When it is time to put the incident behind them, God seems to take Moses to task for smashing the tablets. “Hew out two tablets of stone like the first,” God commands (Exodus 34:1). is that we take much better care of something in which we have invested time and energy to create. 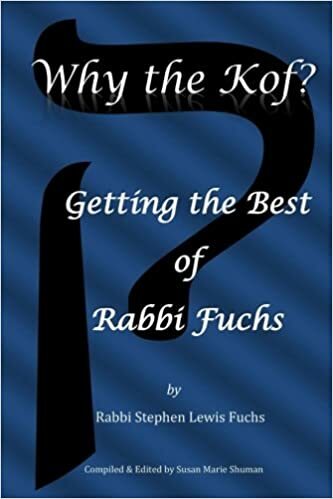 The rabbis take the story and its lesson a step forward in this marvelous Midrash. “Rabbi Judah bar Ilai taught: Two Arks journeyed with Israel in the wilderness in which the Torah was placed, and the other in which the Tablets broken by Moses were placed…” (Palestinian Talmud, Shekalim 1:1). Wow. 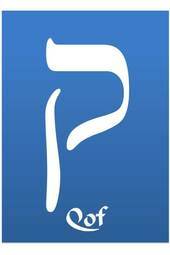 The Midrash teaches us that we can learn at least as much from our mistakes and failings as we can from our triumphs. We all make mistakes⎯even big ones. But if we turn our failings into instructive lessons rather than letting them destroy our sense of purpose and self-worth, they can be of enormous benefit. In essence, God brought us out of Egypt not just to be free of Pharaoh’s oppression, but also that we would be free to journey to Mount Sinai and accept responsibility for the Covenant God made with Abraham. Accepting responsibility means that we use our talents to create a more just, caring, and compassionate society. It is easy to lose sight of those values in our rush to make a living. During our time off, we rush around with the goal of amassing bigger, better, and shinier material goods. Indeed, the golden calf is alive and well. It lives in our cities and towns, and if we allow it, the turbo-charged golden calf of today will take over our hearts and minds, as well. The golden calf narrative is a quintessential illustration of the middle ground of biblical understanding. Who knows if there was a golden calf, and whether God became furious at our worshipping it. I do not take the story literally, but the truth of the Bible is not literal truth. On the other hand, I do not simply dismiss it as an ancient fairy tale. The truth of the story is in its message, a message that can change our lives if we take it to heart.